I have in the past experienced a boss and a family member doing it. Plus I have a friend who a particular person in her family did it to her. One thing I grew to realize as I watched my boss do it to all the staff at different times. That she was brought up by father who did it to her. It was her father’s way to get her do her best, to make her determined that I will show you, I can do this. It was the father’s way to create a motivation, and she knew no other way but to do the same thing to her employees to get the best out of them. She didn’t realize that by encouraging, complimenting and praising them for work well done, this in turn would have made them go that extra bit further. It would have inspired and motivated them. My friend plays the piano, and plays it very beautifully she is very gifted and talented. However she dislikes playing to an audience, even an audience of one, and doesn’t think she is good enough. This stemmed from criticism made when she was a child. She took it to heart, created a belief that she was no good, she was not worthy or good enough to play in front of people. She disliked playing in front of people and refused to. The person stating the criticism was an accomplished musician themselves. As she looked back at that incident recently, she realized that what was said was not a criticism, however her perception and interpretation of the comment was taken as a criticism which created the belief that has impacted her whole life. She is now in the process of changing that belief. How do you start changing beliefs? Tip 1 – Go back to the incident that you remember where you felt not good enough, or worthy, then observe the incident as an observer or onlooker with adult eyes, and with an adult perspective. Often being in the observer role you see many things and realize you created a belief from a child’s perspective. Especially when you are looking at the incident in the now time as an adult, you see it for what it really was. Whatever belief you created at that time you can now reframe or change it to something positive. Write that belief out and then look at how you can rewrite that belief into a positive belief. Read it daily night and morning. Journaling can help here by allowing yourself to write and allow the emotions to be expressed onto paper. Once you can’t write anymore or all the emotions have been spent. Then ask the question “what is the positive side of this, what can I do differently from now on”. Look at everything you have achieved in your life, and what you have now, and this is proof that you are worthy, you are good enough. Just stating the word “I am enough” can do miracles for many people. Tip 2 – Creating positive affirmations that come from your soul, and not your ego. Affirmations that resonate with you, makes you feel good, creates your to heart sing, and excites you. When you are stating affirmations or thoughts that excite you and makes your heart sing, this creates a belief in them and you are starting believe in them. You are retraining your subconscious mind to have a positive thoughts about how you think and feel about yourself. Tip 3 Self-Love, – giving yourselves self-love, which is loving and accepting yourself unconditionally, not matter what has happened. 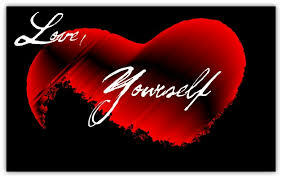 i. Self-love allows healing and empowers you. ii. By talking to yourself with love, when you make a mistake don’t beat yourself up, forgive yourself and accept it as it is. iii. Looking into the mirror and telling that person looking back at you that you love them. You love the hair, the nose, the eyes, the freckles, the body, the wart. It will feel uncomfortable, and awkward when you first start doing it. Looking into those eyes of that person and say I love you. This will bring up uncomfortable feelings and you will find it hard to do to start with. The more you do it the easier it gets. iv. Giving yourself a hug, crossing your arms and placing your hands on your shoulders and giving yourself a hug and saying I love you. Kissing your hand and saying I love you. 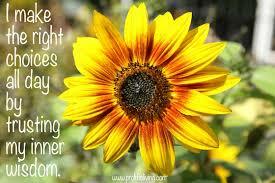 You will notice sensations and good feelings starting to stir within you, you will feel the inside of you lighten up. “I am sorry, please forgive me, I love you, thank you”. Start implementing these habits into your life daily, and start to feel the change within you as time goes on. When you are wanting to change anything in your life, it is creating new habits that take you through the steps to create and embrace change. Beliefs are created by thinking and speaking thoughts over and over again, that they become a belief and you don’t even realize you are saying them on autopilot. By creating new positive sayings about yourself or changing the belief you have, by rewriting it and keep reading it daily you are creating new beliefs. By accepting that what has happen has happened, forgive yourself, see the gold nugget in the experience, giving yourself self-love. This will give you the courage to take back your power and start moving forward in the direction you want. When change happens it takes commitment, courage, guidance and confidence to move forward, toward your goal or desire. Creating new habits is the way to change, and creating new beliefs. Doing the same old thing is not going to get you where you want to go, you have to create new habits and thoughts, and take action to create new beliefs and the change you want. 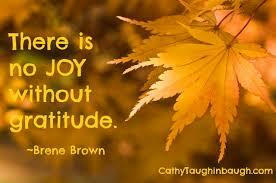 Gratitude – don’t forget to give thanks and feel gratitude and appreciation for the gifts that have come to you.